This morning, a very special train left Amsterdam Central Station. 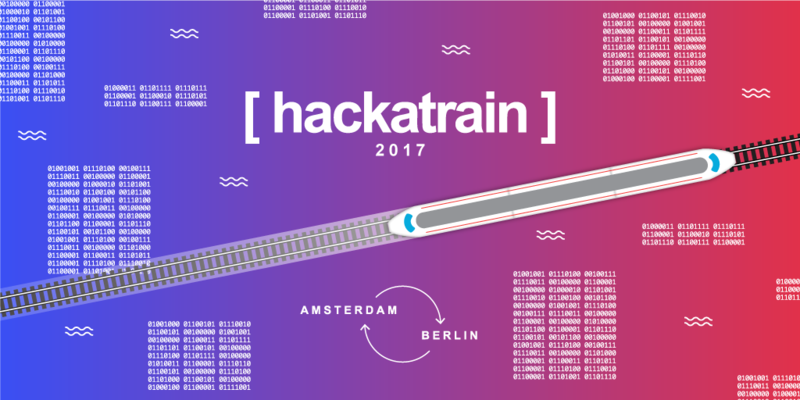 After a successful first edition in 2015, the Hackatrain is back on track. The goal: improving the customer journey of the international rail passenger in 24 hours, before the train reaches Berlin. Aboard the train will be 63 people, many of them students, with backgrounds varying from Media Technology, IT and Data Science. They all share the same itinerary and goal: take bottlenecks away for the international rail passenger, before the train terminates at Tech Open Air, a four-day interdisciplinary technology festival in Berlin. Participants can use a set of information from NS, ProRail and Statistics Netherlands (CBS) about train stations, train compositions, crowds, GPS, travel information and more. The announcement of the top 5 best ideas is on July 11 at co-working Ahoy! Berlin. After 24 hours of hard working, the 5 nominated teams will present their working prototype to a professional jury existing of the Dutch Railways (NS), Deutsche Bahn, Aliens Are Among Us and We.CONECT. The teams compete for a prize pool of 3,000 euros.